A few months ago I wrote an article on SoyGo coffee creamer. 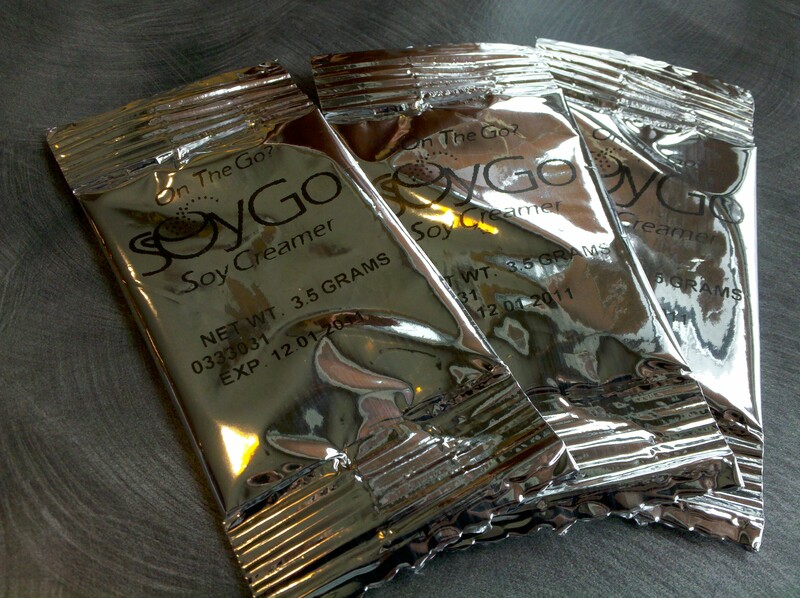 SoyGo is a soy-based coffee creamer in a convenient packet that is easily taken with you so when you find yourself in one of those coffeeshops (or Panera, ahem) that doesn’t offer a soy alternative to the dairy on the condiment bar you can whip one of these out and fancify your brew. 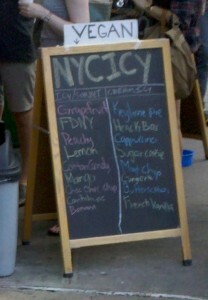 While the original formula had good intentions, I felt it missed the mark a little. SoyGo has now revamped their formula to address some of the concerns I had, though honestly I’m sure it wasn’t BECAUSE of me. I just like to think I have that power. 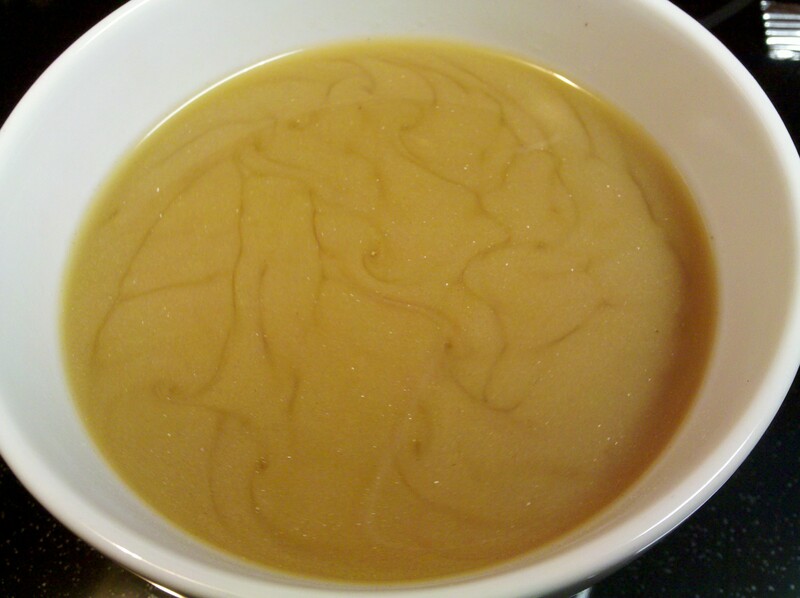 SoyGo's new formula dissolves much better. 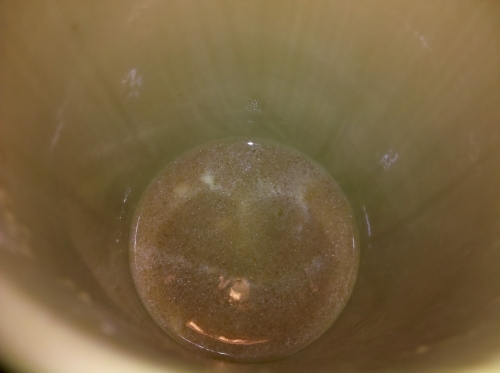 The new formula still leaves a little residue in the bottom of your cup. 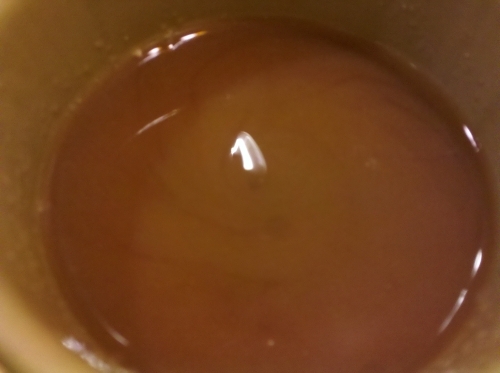 Not completely dissolved but better than the previous formula. 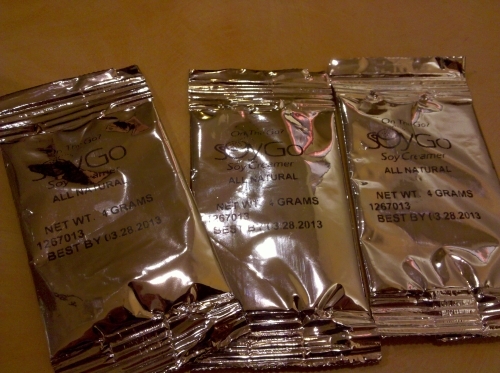 The new SoyGo still comes in the same small packets but now the amount has been increased from 3.5 ounces to 4 ounces. 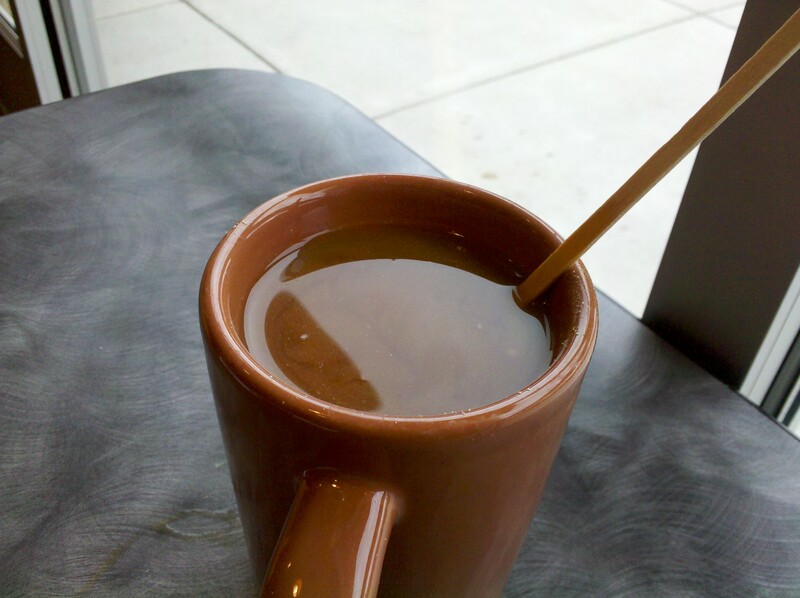 This addresses one of my issues where there seemed there wasn’t enough creamer to sufficiently give flavor to a full cup. The powder also seems to blend a little better. While it still needs a vigorous stir a hand blender is not in order. Also, you will still find a little residue at the bottom of the cup but unlike before you’ll not be able to dry it out and return the SoyGo to the packet. 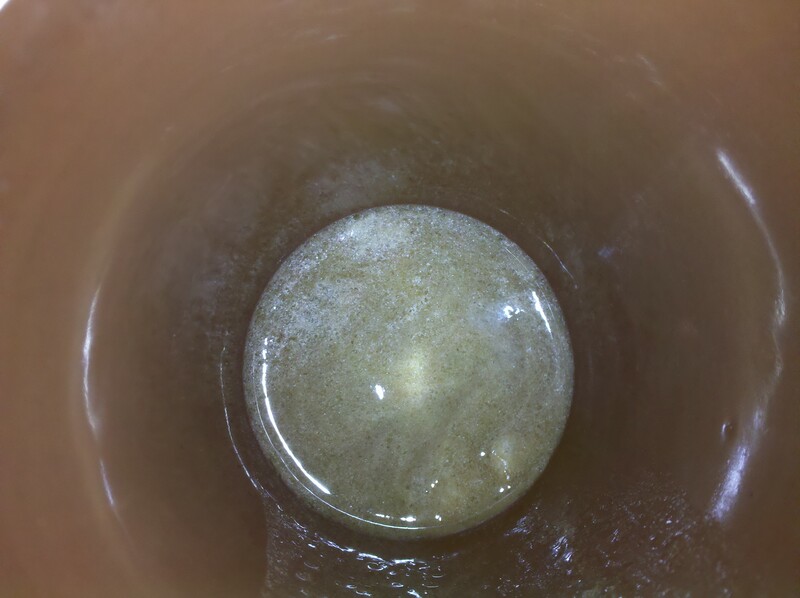 It does actually dissolve now. These are excellent to carry with you on your travels or just keep a few in your car as I do. SoyGo is available at Whole Foods and Amazon or you can order directly from their website. Over time I gather thoughts. Some I tell myself I’ll write about and some I think why bother. Most of these thoughts never have enough behind them to warrant a lengthy post for the site so I toss them aside and forget it. What I’ve decided to do is throw those all into one post. There won’t be much to go on but jump in the comments and complete my thoughts. I’m counting on you. I’ve been on the fake meat bandwagon once in my vegan/vegetarian life. It was early on, of course, as most people who do get into that habit of eating with convenience in mind. I’ve not so recently put that aside. Fake meats are, to me, for transitioning vegetarians. They lend the familiarity of what once once the edible mainstay but as a vegan I have moved on to fresher foods. 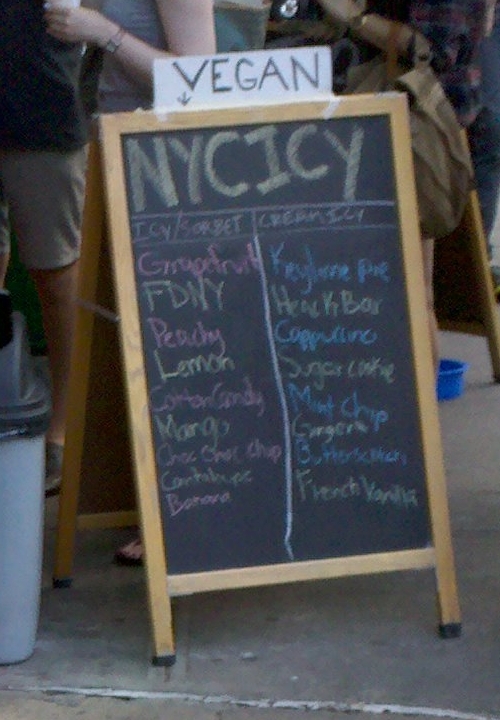 That’s not to say I don’t eat some here and there and you’ll likely see reviews for them pop up on this site. They are what they are, a transition food and that’s fine. While on the subject of fake meats Just a mention that one of my biggest dining-out peeves is a vegan or vegetarian restaurant that relies on fake meats to fill their menu. How about the veggies, guys? I don’t want to pretend to chew pork or chicken/chick’n/chic’n, no matter how many letters you remove form the word, when I’m paying $15 to eat at your restaurant. If you can’t prepare fresh vegetables, and I don’t mean prepared in some gourmet-style, just simple fresh vegetables, then you have no place running a vegetarian dining establishment. I have been noticing Earth Balance soy milks at Whole Foods for a few months. I’ve even bought the milks regularly but it wasn’t until recently that I noticed the absence of Silk products in the refrigerated section at Whole Foods. I asked about the disappearance and was told that Whole Foods had decided to stop carrying Silk due to the changes Dean Foods had made to the product line. Specifically, the dropped “Organic” from the standard packaging and came out with a new package design and marketed the Organic line again though with a higher price tag. There was no marking on the original package to signify it was no longer organic less the absence of the organic seal. Shady? Greedy? Shysters? No big deal? For the past few months I’ve been doing P90X. I completed the first 90 days and immediately started a second 90 days which, at this point, I’m at day 60. I’ve had tremendous results losing some weight and finding muscles I never though I had. I have discovered that Tony Horton, creator of the series, is vegetarian and is now working on a vegan diet plan for his next workout series. Vegan P90X works! “Flexitarian” is just omnivore disguised in a fancy catch phrase that makes advertising pop and sounds trendy. You know how people love trendy. As the father of a vegan 5 year old I ‘ve often wanted to hear from other parents of vegan children. If you fall into that description drop something in the comments about your experiences. I would love to hear from you.